For 40 years Spain was ruled by an Austrian: Carlos I (Charles I). 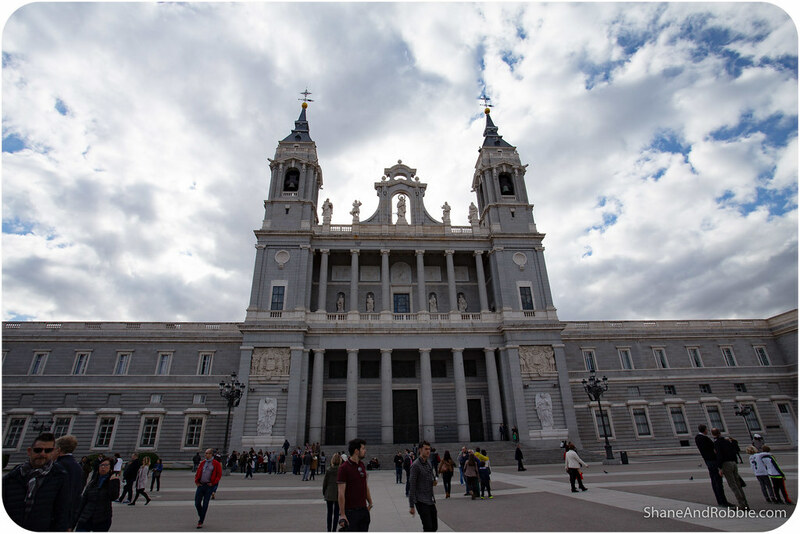 Grandson of the famed Catholic monarchs, Isabella and Ferdinand, and a Habsburg, Charles I made Madrid his capital and shaped the city more than any other Spanish ruler. 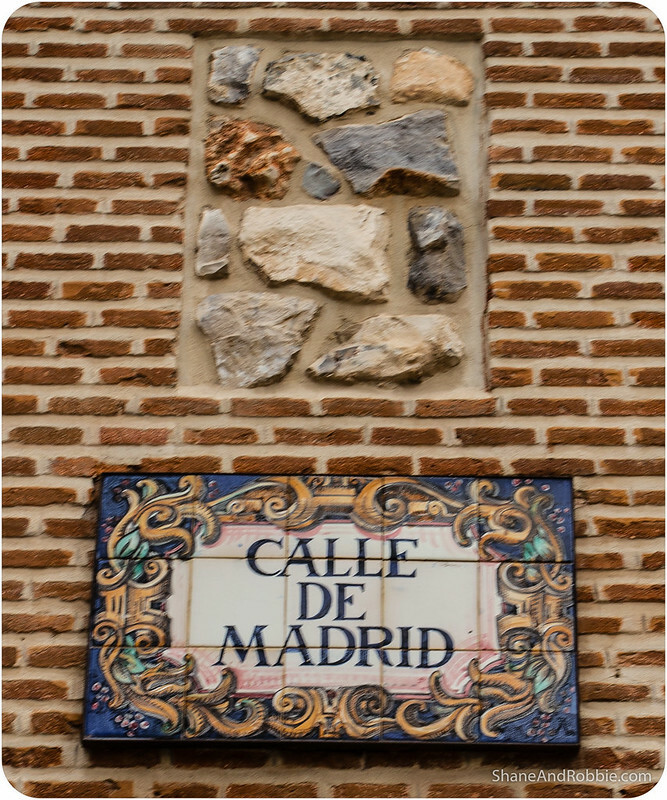 In his honour the central part of Madrid, where most of the grand monuments and tourist sites are, is still known to this day as Barrio de los Austrias. 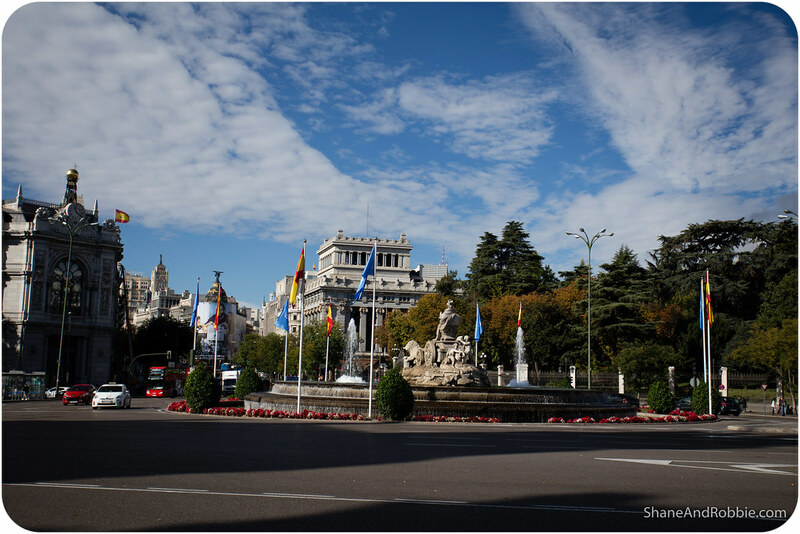 This is where we spent our day, getting to know Madrid a little better. Isabel and Ferdinand married their 5 children off to the royal families of Portugal, England, and the Holy Roman Empire (which later morphed into the Austro-Hungarian Empire). 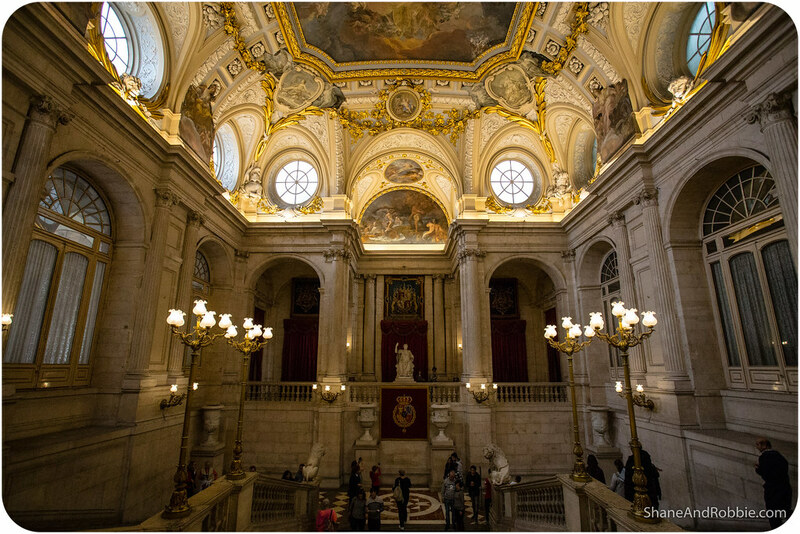 Upon their deaths in 1516 the throne passed to their grandson, Charles I (Carlos I in Spanish). When Charles then also became Emperor of the Holy Roman Empire, he became ruler of most of Europe (i.e. all of Spain, all of modern Netherlands, Belgium, Luxembourg, Austria, as well as parts of Italy, France, and Germany), and associated colonies. His 40 year reign became known as the “Time of the Austrians” in Spain and was a period of great expansion and advancement for Spain – not least of all because it was during these years that the riches of South America were first exploited. 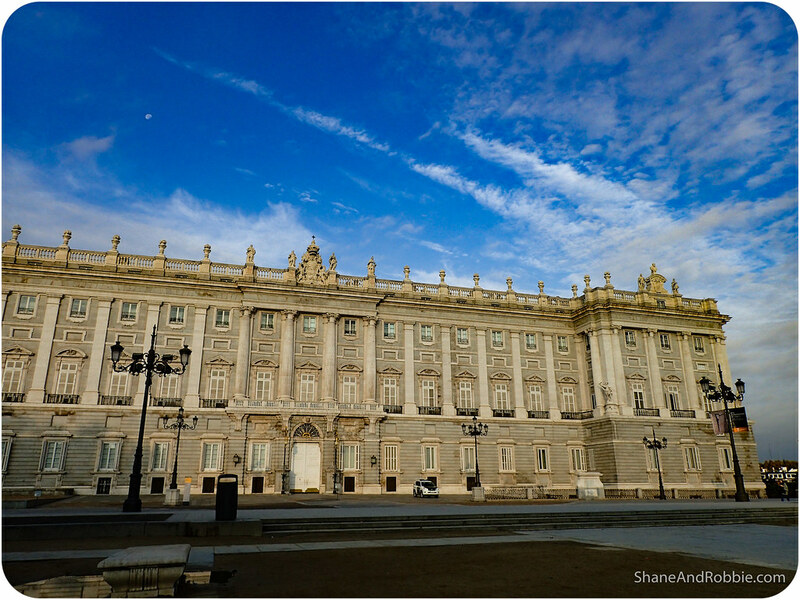 Using the wealth garnered from Spain’s American colonies Charles I commissioned a swathe of new buildings and infrastructure projects, including a number of the grand palazzos that line Madrid’s Gran Via today. 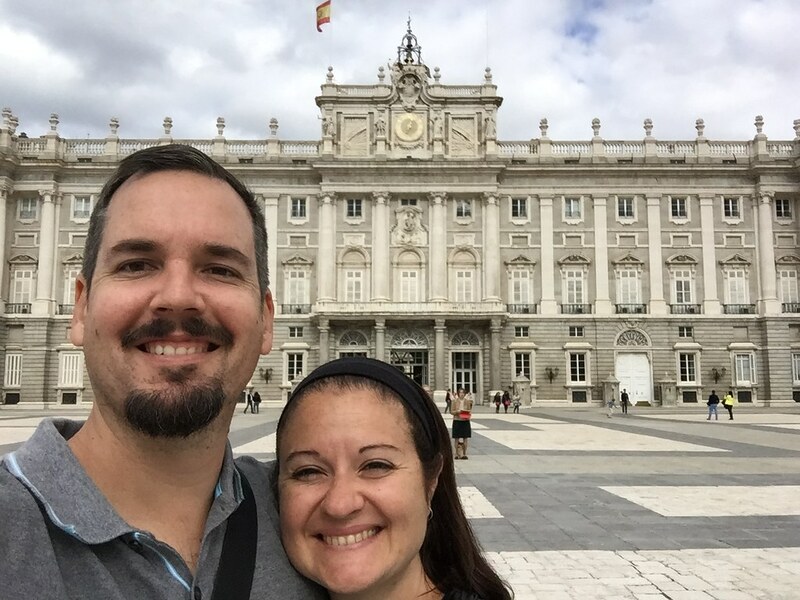 We started our sightseeing in Madrid with a stroll along the Gran Via, admiring the Renaissance buildings commissioned by Spain’s first (and last) Austrian ruler. 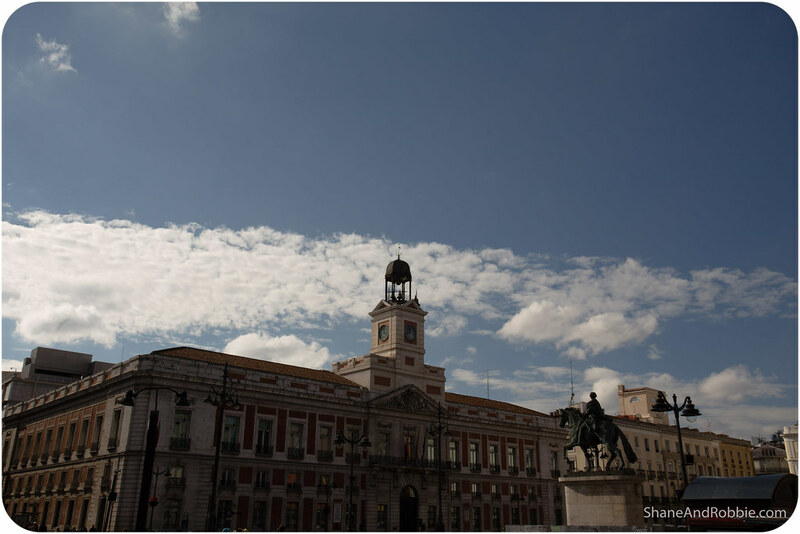 Inevitably our steps led us to Puerta del Sol (i.e. 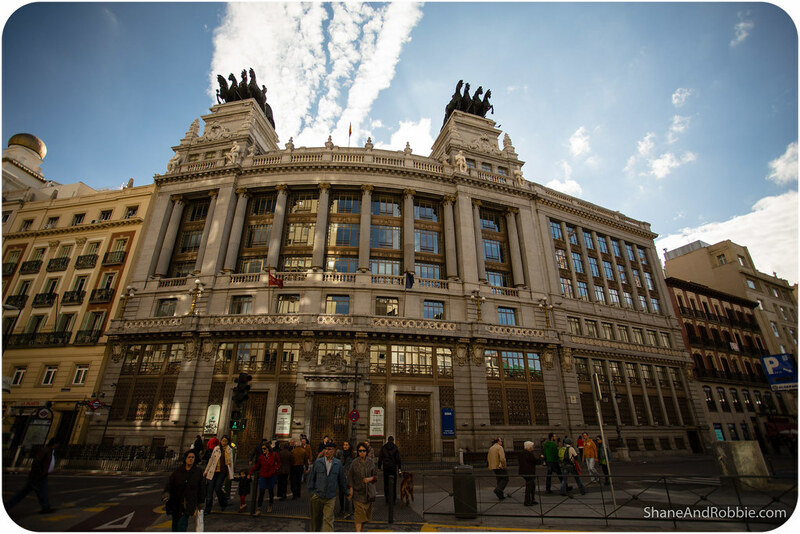 Gate of the Sun), one of the best known and busiest places in Madrid. 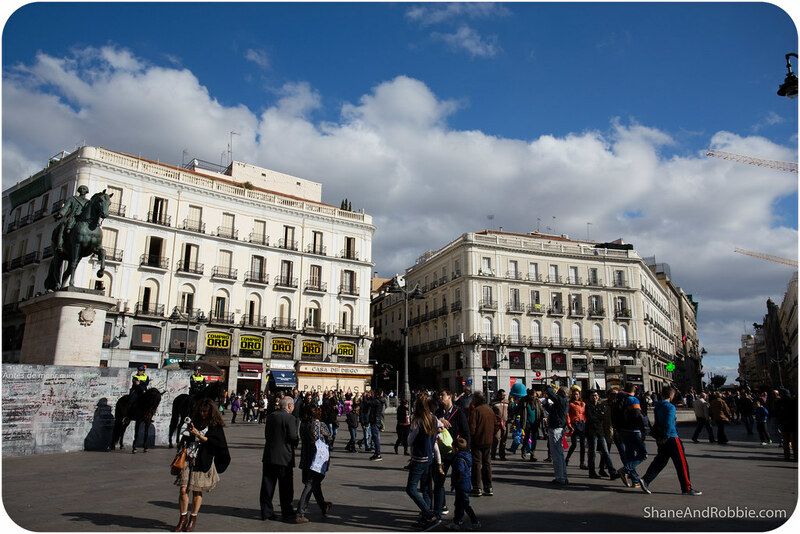 Once the Eastern gate of the old city, this large square is now the transit hub of modern Madrid, with metro lines, buses, and roads all converging in this one place. This is also the square where the Spanish New Year’s Eve countdown occurs. 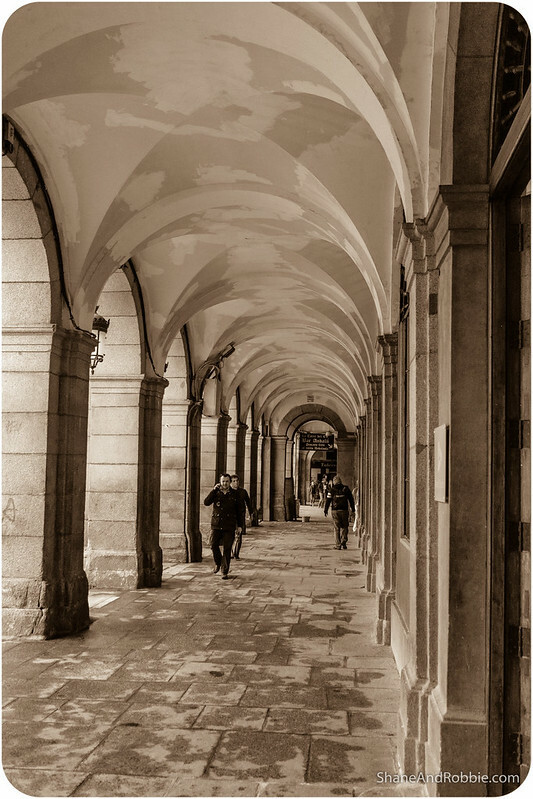 Not far from Puerta del Sol we found the most notable Habsburg construction: Plaza Mayor. 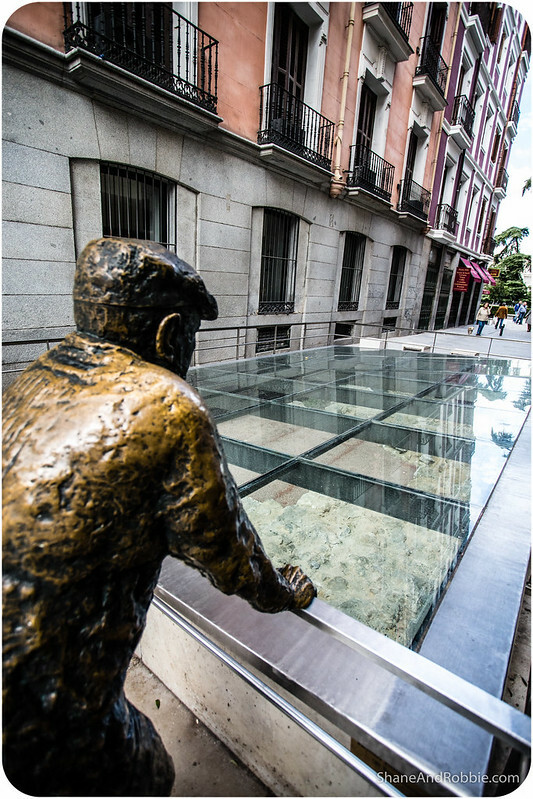 Surrounded by beautiful old buildings and lined with cafés and restaurants, this is the heart of Madrid. This is where the Spanish come to celebrate life, though during the years of the Spanish Inquisition, this was where executions were carried out. 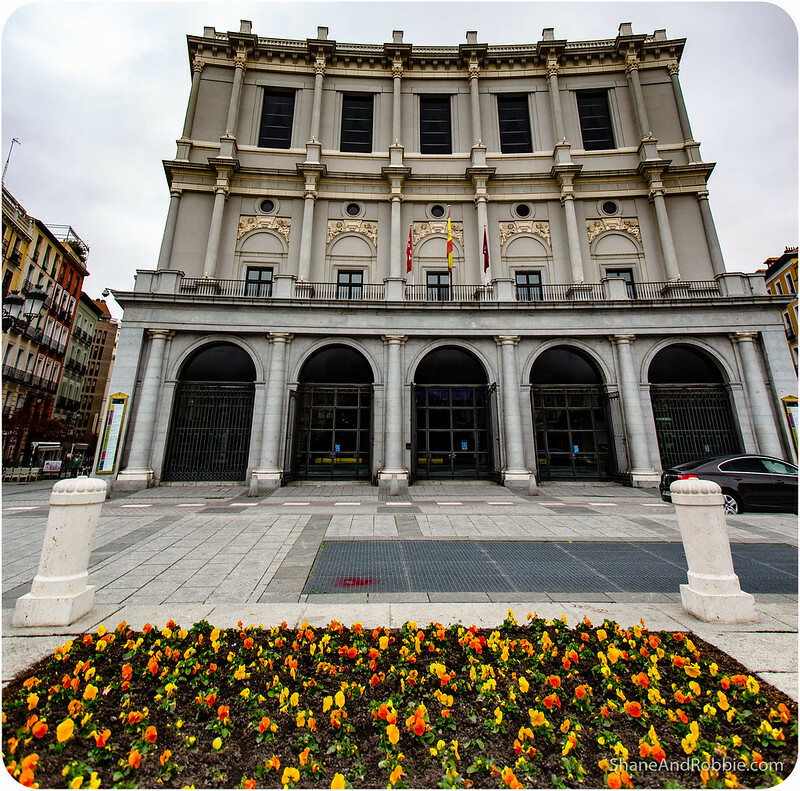 The historical square has also been the site of coronations, royal weddings, and famed bullfights. 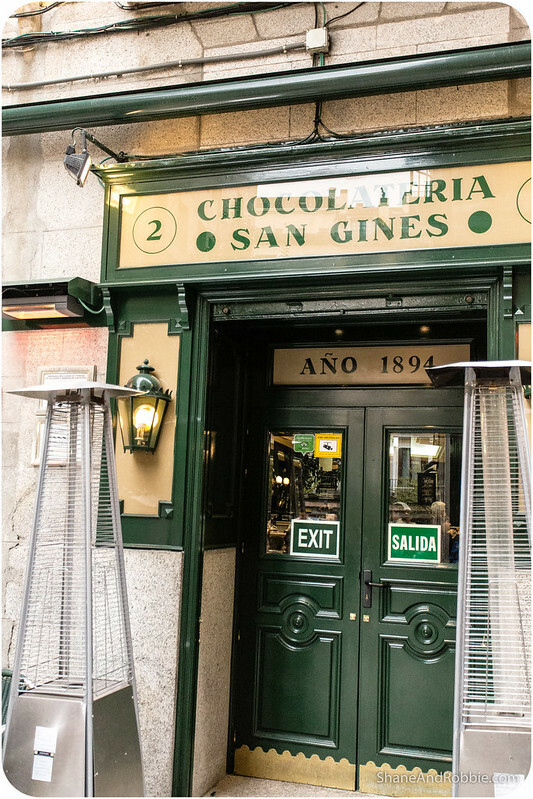 Hidden around the corner we had to stop at madrid’s most famous churroseria: the Chocolatería de San Ginés. This traditional chocolate-and-churros* establishment opened in 1894 and is famous for its crispy fried doughnuts and its crazy opening hours: 9:00am to 7:00am. Yup, not a typo people: the place only closes for 2 hours in the “early morning”. Where else would you go for churros and chocolate at 5:00am after a big night out on the town?! *For the uninitiated: churros are light, crispy sticks of fried dough. Traditionally, churros are eaten with a cup of hot, thick chocolate. The idea is you dip and dunk the churro into the chocolate, taking time to enjoy the mouth-watering combination. Continuing our walking tour we paused for a few photo stops, admiring the many churches, statues, fountains, and grand buildings scattered throughout Barrio de los Austrios. Reaching the Royal Palace of Madrid we joined the queue of tourists waiting to buy tickets and tour through the splendid abode. 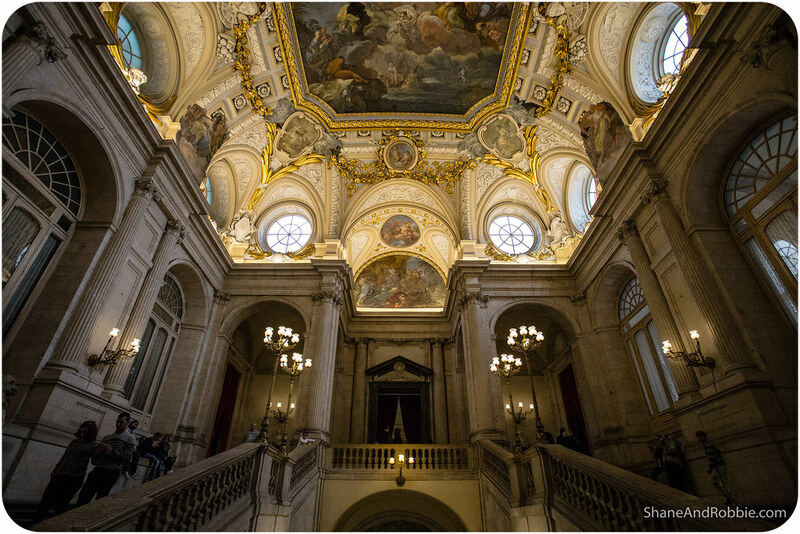 Commissioned by Philip V after the earlier palace was lost to a fire in 1734, the Royal Palace is rarely used today but some of its 3,000 rooms are open to view. 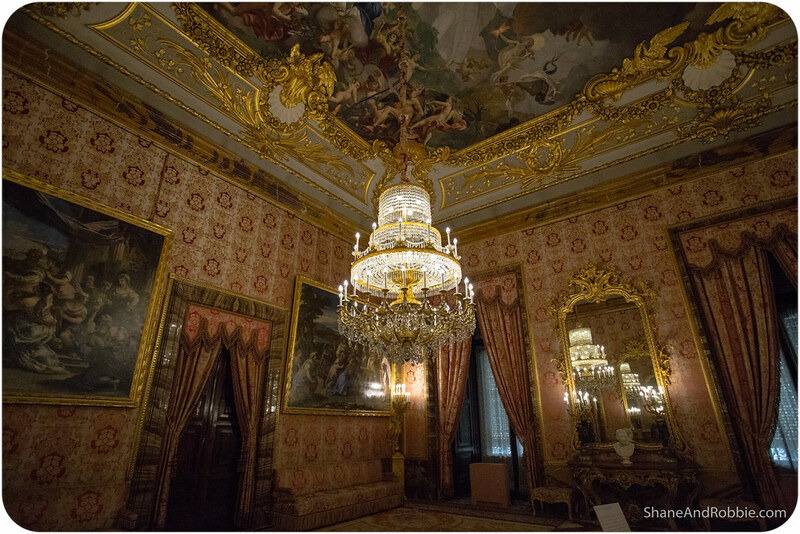 Unfortunately they didn’t allow photos to be taken inside all the rooms, but you can take our word that, in true Spanish style, the rooms were spectacular and lavishly decorated. Just next door to the palace is Madrid’s cathedral: Catedral de la Almudena. Built in 1883 it was by far one of the less inspiring churches we’ve seen in Spain and we didn’t linger long. By this stage it was time for lunch (Spanish time: 3:00pm), so we found a likely looking place and sat down to enjoy a typically protracted luncheon, Spanish style. By the time we were finished the sky had completely clouded over and it began to rain. Taking that as our cue, we headed back to our hotel for a quiet afternoon of relaxation. 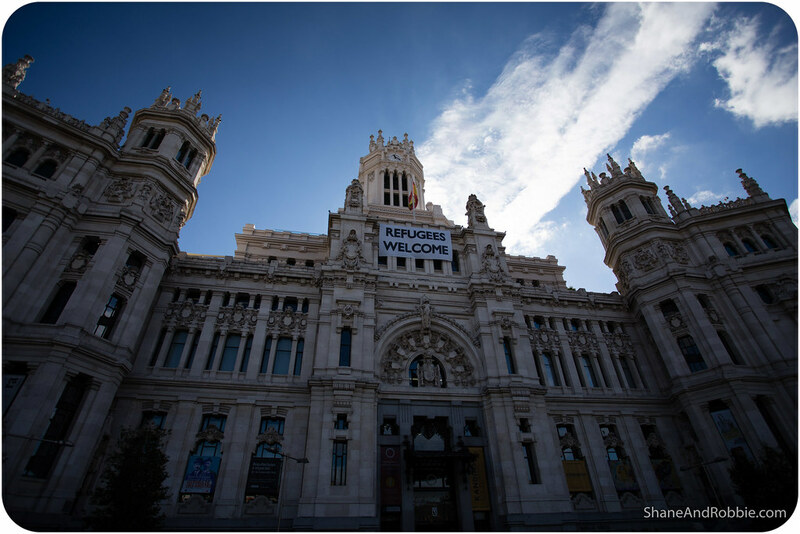 And so ends our final day in Madrid, in Spain, and in fact, in Europe! Tomorrow we’re off to Bangkok to start a whole new leg of this grand adventure of ours!